Grace Roots Blog: Forgive Others In Order To Be Forgiven By God? Forgive Others In Order To Be Forgiven By God? In Matthew 6:14-15, Jesus made a very strong statement: "For if you forgive men their trespasses, your heavenly Father will also forgive you. But if you do not forgive men their trespasses, neither will your Father forgive your trespasses." Over the years I've heard this quoted quite often in the church and used as a principle that Christians are to live by. After all, Jesus said it, so of course it applies to us... right? Back up just a minute. Do people really consider what Jesus is actually saying here? As I said, these are strong words. Very strong words! Jesus is telling His listeners that GOD WILL NOT FORGIVE THEM if they don't forgive others! So is it true that if we don't forgive others, God won't forgive us? If that's the case, then how many believers are actually forgiven? And if they aren't forgiven, are they actually saved? What if a person dies, unforgiven? I'm just making the point that I don't think Christians really think about all of this stuff when they go around using scriptures like this. But anyway, fortunately there's good news here. Very good news! Let's remember that these words of Jesus (and so many of His other words) were spoken for a particular reason at a particular time under a particular covenant to a particular group of people! Without getting into all of that right now (although I'm certainly willing to go there, and I've written about it plenty in the past, such as here and here), in short I'll just say that these words of Jesus were spoken before the Cross, to the Jews who were under the Old Covenant. They do not pertain to Christianity (in our co-resurrected lives with Christ), and in fact they go against New Covenant life. Old Covenant principles (such as "if you do this, God will bless you," and "if you do that, God will punish you") were always against us and contrary to us! (see Col 2:14). But now, with the post-Cross resurrected life of Christ, we have a new reality - a New Covenant reality - with teachings that say we are already forgiven of all sins, not based upon what we do or don't do, but rather upon the Blood of Jesus! We're now encouraged and exhorted to forgive others, not commanded to forgive others with the threat of not being forgiven if we don't. Why are we encouraged to forgive others? Because God has already forgiven us completely. Since we've been the recipients of such wonderful mercy and grace, let's turn around and show the same to others. We can now stop worrying about whether or not we're forgiven, based upon whether or not we've forgiven others. Instead, we can fully experience and enjoy the fullness of God's grace and mercy, and our redemption and forgiveness that's not based at all upon what we do, but that's based solely upon the finished work of Jesus! Great stuff, Joel. Right on the mark! Too often people are left with the false impression that Scripture can't be FULLY reconciled. Yet under a new covenant economy, there is no conflict. Thanks for slicing the truth thinly, Brother! Yep indeed, Mike. I formerly did a lot of head-scratching when I came across verses that didn't seem to make sense together, such as the words of Jesus here and the words of Paul elsewhere. But in light of two completely different covenants, and different reasons for each, it all makes a lot of sense now. What about the parable of the unmerciful servant, and when Peter asked the Lord how many times should he forgive his brother? We are still capable of offending the Lord. Why would 1 Thess 5:19 warn us about quenching the Holy Spirit? Why would God say "do not" if we're already forgiven? Ultimately, why would we even read the bible about sins if we're already forgiven? This strange doctrine is ultimately teaching that we can commit sin and not worry about a thing. This is insane. I want to make clear that what I'm not saying here is that we shouldn't forgive others. I'm simply saying that before the Cross, Jesus said to his hearers that God would not forgive them if they did not forgive others, and that is a very, very strong statement! But now, after the Cross, the Blood of Jesus has been shed for the remission of sin, and we stand forgiven because of that. God's forgiveness of us is not based upon our forgiveness of others, nor on any of our other actions, but is based upon His grace and the finished work of Jesus. And so now, we don't forgive others in order for God to forgive us, but rather we forgive others because we've received such great forgiveness from God, through the once-for-all sacrifice of Jesus. We are now "the righteousness of God." (2 Cor 5:21). The gospel reveals the righteousness of God (Rom 1:17) that has been given to us as a gift, apart from our works. Now, of course we don't always walk according to who we truly are. Again, we are the righteousness of God. That is who we are. That is our new identity, not based upon our actions but based upon the gift of God. And so when we don't "behave" according to this new nature of ours, it's not that we're no longer the righteousness of God, and it's not that we're no longer completely forgiven. It's just that we've not fully appropriated the truth of who God says we are and has in fact made us to be. The New Testament exhortations to do good and to not to evil, are not based upon whether or not we remain righteous (again, a gift, not something we do) or forgiven, but rather are based upon the fact that we are righteous and forgiven. Because we are new creations (2 Cor 5:17), joined as one spirit with the Lord (1 Cor 6:17), partaking in the very nature of God (2 Peter 1:4), then lets live like it! If we don't, we're still righteous and forgiven, because it's not based upon what we do, but it's based upon the gift of God. This isn't a license to sin. This is a license to live according to our righteous identity! Yeah it is a very strong statement. People didn't want to hear these kind of statements. Jesus and the Apostles died (except John) for statements that people didn't want to hear. Jesus IS the new covenant and He would not have said this or told the parable ot the two servants if this didn't also pertain to those under the new covenant. It would have been redundant! Well, the prophets also died for making statements - statements that strongly supported the Old Covenant but didn't apply to the New Covenant. Jesus came as one who was "born of a woman, born under the law, to redeem those who were under the law." A lot of what Jesus said was spoken to those who were under the Old Covenant (the Jews). The Old Covenant had a very big purpose in the grand scheme of God's larger plan, but its purpose was not for Gentiles. And so we can look at the things that Jesus spoke to the Jews as things that He meant for the Jews, under that covenant, and not as applying to the New Covenant. Along with what I said in my earlier comment, in the New Covenant we are already forgiven of all sin. Jesus' blood has provided for complete forgiveness of all sins. It's not through us having forgiven others that we've been forgiven, but rather through us trusting in the finished work of Christ. If we are forgiven only if we forgive others, then the blood of Christ did not accomplish what it was supposed to accomplish! Thank God that the Blood of Jesus accomplished for us the remission of sins - something that could not be accomplished through the condition of us having to first forgive others, as Jesus told the Jews under the Old Covenant. wow maybe we should do away with the 4 gospels because as you say everything he taught was under the law This is ridiculous Grace & Truth came by Jesus He is the last Adam Firstborn from the Dead Hebrews tells he's the Author and The Finisher of out faith in other words he's our example of born again Child of God is supposed to live by the way what happens if I choose not to Forgive??? I most definitely did not say that everything Jesus taught was law-based. We need to read each thing that He said in context. In our modern day Christianity we take all the words that we read at face value, without taking into consideration the context. There were no Christians around when Jesus taught. He very often really was speaking to Jews who were under the Old Covenant. He really was "born of a woman, born under the law, to redeem those who were under the law" (Galatians 4:4). All of this needs to be considered when reading each particular happening in His earthly ministry. No doubt Jesus had New Covenant talk in the things He said at times. But remember, the people were still under the Old Covenant when He walked the earth. Much of His ministry was as a Jew, under the Old Covenant. The Cross, of course, changed everything. But the purpose and intent of the Law/Old Covenant had to be magnified and understood by people in order to show just how much the New Covenant changed all of it. Anonymous, in addition to what I said above, I'll say that you asked a great question: "What happens if I choose not to forgive?" So indeed, what happens? According to this teaching from Jesus, you then not forgiven by God, and therefore you cannot be justified and made righteous. So salvation is not only by faith, but it is by what you do. It is not by grace, but it is by your works. So is it really not the blood of Jesus and His resurrection that saves us? Is it really a matter of something that we have to do, in addition to the finished work of Jesus? There is nothing that our works can add to the blood of Jesus. If so, then we are saying that the blood of Jesus was not enough. In the above two verses we see that we are exhorted to forgive others just as the Lord has forgiven us. We see that forgiveness of others is not a requirement for God's forgiveness of us. Rather, it's just the opposite. We forgive others because God has forgiven us. We forgive and show grace to others in response to what God has already provided us with. "12 So speak and so act as those who are to be judged under the law of liberty. 13 For judgment is without mercy to one who has shown no mercy. Mercy triumphs over judgment. 14 What good is it, my brothers, if someone says he has faith but does not have works? Can that faith save him?" - Jas 2:12-14 ESV (a rhetorical question to which the answer is an emphatic "No!". The problem, Joel, is that you fail to understand the essence of being 'born again' as well as what grace really is. The problem of sin is serious. God didn't send his Son to the cross so that we could all get 'Get Out of Hell Free' cards. Grace is not a gift that is like we get on our birthday with pretty wrapping and a bow, that we receive once, open, and it's a done deal...it's the free gift of salvation that's ours forever. Grace is not a thing...it's a resource that's only found 'in Christ'...by faith. And faith isn't simply an intellectual acknowledgement that something is true. Faith MUST produce a change in behavior. That's why the gospel that John the Baptist and Jesus preached began with "Repent...for the Kingdom of God is at hand". Jesus died not only for our sins, but also 'for the sins of the whole world'. Well, by your line of reasoning, the WHOLE WORLD will be saved because it has nothing to do with whether we make any changes in our attitudes or behaviors. Why would God make a distinction? But Jesus taught that Salvation was a very narrow path and that not many would get in. Jesus is 'the author of eternal salvation....TO EVERYONE WHO OBEYS HIM'!!!! Simply saying I'm a Christian doesn't make me one. There's overwhelming evidence in the New Testament, even if you exclude the gospels, that there is a threat of jeopardizing our salvation by accepting doctrines that deviate from the original message that Jesus preached: "REPENT!" You are also in error to conclude that the New Covenant began AFTER the crucifixion. The old covenant was given on Mount Sinai BEFORE it was ratified with blood. Jesus began his ministry saying "Repent for the Kingdom of God is HERE...NOW!" And he demonstrated it by forgiving sins and healing in response to faith combined with contrition. The cheap grace that you are advocating is lulling people into a false sense of security. It appears that you have a LOT of misconceptions about me, and also some things in which we simply disagree upon. I’ll address a few of these things. You are right… this is not the same as the demons who believe. This is an active faith. We are new creations in Christ. We have new desires… to walk as the new creations that we are! It’s true that whoever isn’t holy won’t see the Lord. But it’s not our works that make us holy. It’s the blood of Jesus. By the blood of Jesus, we are a holy priesthood (1 Pet 2:5), a royal priesthood and a holy nation (1 Pet 2:9). It’s because of this (the fact that we are already holy, apart from our behavior) that we are implored to “be holy in all your conduct” (1 Pet 1:15). We don’t “do” in order to be holy. We “do” because we are holy. And indeed, the problem of sin is of the uttermost seriousness! It’s so very serious that God sent Jesus as a human being to shed His blood and die on a cross for us! That’s how utterly serious sin is! There’s no getting around how serious sin is. And there was absolutely NO other way to deal with it, than with the blood of Jesus. THAT’S how serious the blood of Jesus is! To obey the gospel is to put aside any and all ideas and notions of self-dependence or self-righteousness, and to depend solely upon the finished work of Jesus. Again, it’s a serious, serious matter, and God provided on e way as the way to deal with it – the blood of Jesus. The writer of Hebrews told the Jews that if they reject this one sacrifice, by going back to the blood of bulls and goats, which could never take a way sins but only served as a reminder of sins (Heb 10:3), then they have it even worse than someone who rejected MOSES! (Heb 10:28). By trusting in anything other than the one perfect sacrifice of Jesus, they have trampled the Son of God underfoot and counted the BLOOD of the Covenant by which they were sanctified as a COMMON THING, and have insulted the Spirit of GRACE. That’s serious stuff! Rejecting the blood of Jesus by going back to bulls and goats nullifies grace and puts Christ back on the cross over and over again! To “sin willfully” (to willfully miss the mark) in the context of Hebrews 10 (and all of Hebrews) means to reject the sacrifice of Jesus, through unbelief. As for the timing of the New Covenant, Jesus most certainly preached the New Covenant at times (and He also preached a LOT of the Old Covenant), and He Himself was God in the flesh and therefore the kingdom was truly at hand, but the New Covenant was not in force until His death, as was testified by the writer of Hebrews in Chapter 9:16-22. “Without the shedding of blood, there is no remission of sin,” and so the New Covenant, in which our sins were taken away and remembered no more, could not be in effect until the death of Jesus. All of what I’m saying here, and all of what I shared in the original post, is not cheap grace. It was very costly grace. God became a man and shed His blood for us. (WOW!!!) Through His poverty we became rich. It cost Him a lot, and we receive what He paid for, freely by grace through faith. I want you to know that I'm not attacking you. I just take issue with the fact that a definition of grace and 'unconditional love' has crept into the church which causes folks to explain away all the warnings in the New Testament about persisting in carnal living. And that to the extent where, as you have, they take straight-forward statements by Jesus himself and explain them away. Jesus was telling a parable about a guy whose huge debt was forgiven, who then found a guy who owed him a relatively insignificant amount and would not extend the same mercy. Then the parable ends and Jesus explains the meaning in plain Hebrew: "If you don't forgive, you won't be forgiven." If this was the only passage in the NT that indicated that there are some 'gotchas' to this whole Good News thing, I might be more inclined to accept your explanation...but taken all together, I have to conclude that the kind of grace and what constitutes 'being saved' that you are expounding is not scriptural. Right before James talks about the kind of faith that doesn't lead to salvation, he says: "For judgment is without mercy to one who has shown no mercy. Mercy triumphs over judgment." - Jas 2:13 ESV It doesn't say 'Judgement is mostly without mercy'...it's without ANY mercy. Jesus says "The way is hard, and not many find it". If the faith that leads to salvation were so sloppy that we can just explain away Jesus' warning about not forgiving others, then his statement about few finding the way that leads to life would be meaningless. To me, you're saying that as long as I believe that Jesus death on the cross guarantees my ticket into heaven, then I can hold onto unforgiveness, sleep with hookers, smoke crack...doesn't matter...I believe in Jesus. But here's where I know you'll launch into some circular logic about 'if one really believes, their life will not be able to help itself, it will change'. I think not. Otherwise all of the exhortations about putting the flesh to death, about those who practice these things will not inherit the kingdom, to him who overcomes, and on and on and on...would be meaningless. Why should I work out my salvation with fear and trembling? That sounds like a drag. And how will you explain how Matthew 25 doesn't apply to you and I? It relates directly to what James is saying to believers about their faith...if it doesn't bear fruit, it's on track to get thrown into the fire. God will patiently work with a person who continues to live a carnal, fruitless life to try to get them to repent and start being salt and light, but ultimately, if they don't start producing fruit, they will be thrown into the burn pile. Jesus makes it clear, the epistle writers make it clear. The only ones who don't make it clear are the ones afraid to speak the truth in love. Salvation doesn't occur as the result of a one time decision to repent and to believe in the advent, life, death & resurrection of Jesus. That only puts one on the right path. The medicine only works if we keep taking it. That's why there are so many exhortations about how Christians must live and continue to pursue holiness through confession, repentance and good works. It's not those things that save us. It's ONLY Jesus that saves us. But remaining 'in Christ' requires that we cooperate with the Holy Spirit; that we 'abide in Christ' by letting the Holy Spirit convict us of the sin and selfishness that still lives in our carnal nature and let God's work of salvation have it's way in our hearts. God's love IS unconditional, but his salvation is not. Otherwise, since Jesus died for the sins of the whole world, the whole world would be saved, since it's not God's will that ANY should perish. The writer of Hebrews wrote an entire epistle about the narrow gate. The narrow gate leads to life, Jesus said. There is only one way that leads to life, and that is the blood of Jesus. All throughout the epistle, the writer of Hebrews makes a contrast between two things. In Jesus' words, the contrast was between the narrow gate and the wide gate. In the book of Hebrews, the contrast was made between the blood of bulls and goats and the superior blood of Jesus. The contrast was made between the priesthood of the Levites and the superior priesthood of Jesus. The point all throughout the book of Hebrews is that the finished work of Jesus is superior to anything and everything. Jesus Christ IS the way. Any other way is part of the "broad" way. The "wide" gate. Christ Himself is the narrow gate. We must enter through the narrow gate? Yes! And the narrow gate has nothing to do with our own works, and everything to do with the finished work of Jesus. Wayne, you're saying that we're ONLY saved by Jesus. But then you're ADDING to Jesus by saying that it's up to us to abide and be convicted of sin and all this other stuff in order to "remain" (your own word) in Christ. You are adding to the finished work of Jesus. There's no doubt that we have the ability now, as new creations, to cooperate with the Holy Spirit and walk in step with Him. And as God loves us, we can respond in love to Him! But our response (or lack thereof) doesn't have anything to do with whether or not we "remain" in Him. We remain in Him, not because of our works, but because of HIS! And we can respond to His love and grace, and walk it out, all because of HIM! If it's up to US, we're completely and utterly doomed. Break the law even once, and we're guilty of ALL. That's you, me, the entire world! Thank GOD for His grace that not only saved us, but KEEPS us! As we grow in GRACE (not our own works), we grow in so many wonderful things that could never be accomplished through our own attempts at trying to maintain our salvation. Salvation is God's life in us, for now and evermore. It's not our works that we do for Him, it's His work that He's done for us, and that He Himself continues to do in and through us. Back to the book of Hebrews. The writer was a Jew and he was writing to Jews. All their life, up until the cross of Jesus Christ, what they had known was law, law and more law. As far as they knew, they had to keep up this "law" thing. Their hope was in the blood of bulls and goats. Even though they sinned, and fell short of the glory of God, their hope was in the yearly sacrifice of bulls and goats. Once a year, their sins were transferred to a "scapegoat" (Leviticus 16), and they were good for another year. But yet, as the writer of Hebrews says, the problem was that while this "atoned" for their sins, the blood of bulls and goats could never TAKE AWAY their sins (Hebrews 10:4). And in fact, it only served as a "REMINDER of sins every year" (Hebrews 10:3). But along came Jesus, sent by God to not only "atone" for sins, but to TAKE THEM AWAY. It was so much more than what was accomplished through a bull or goat. It was a PERFECT sacrifice, and it took away ALL sin, ONCE AND FOR ALL. THIS is the Jesus that we proclaim!! The Jesus through Whom sin was not only atoned for, for a year, but through Whom our sin was TAKEN AWAY! This is the reality of what was accomplished through the blood of Jesus. Our works are so very TINY compared to the finished work of Jesus! NOTHING compares to what Jesus did! Our "work" is to believe in Him! (John 6:29). "HE HIMSELF is the PROPITIATION for our sins" (1 John 2:2). We can't do anything to match or add to what Jesus did. We only believe, and receive freely... as a gift... what was accomplished through HIS work. So now, if you want to keep trying to add your own attempts at remaining in Him through something you DO... go for it! As for me, I'm resting in what He has done and in what He has freely given me. This is grace. This is the very power of God in me that has nothing to do with licentiousness, but rather has everything to do with LIFE. I think I know where Wayne is coming from. He's worried about many in the church using grace as a " license to sin". I could elaborate but I'm going to try and get directly to the point using an example in scripture. In galatians as well as Acts it appears to me Peter "used" grace as a "license to sin" by basically being racist and not walking according to the gospel by not mingling with Gentiles at least up until his vision and NOTE even after playing a hypocrite so Judaizers wouldn't know he began to do this even though according to the law he wasn't supposed to (interesting this one of the DO NOTS in the law). Yet God was always with him. So I think this bears out what Paul was saying that "if righteousness comes by the law then Christ died in vain." What other sins do we see in the church "worse " than this? Do we tell people you need to do such and such to stay saved or do we tell them to trust in Jesus' blood and let the Holy Spirit worry about their works? By the way…I am finding it a bit tough to read your words with the translucent backdrop…not complaining, just a tip. Hey there LS... great to hear from you, as always! Spot on with your comments. Indeed, it's not about self-help or principles or morality, but rather about the very life of Christ being "formed" ("fashioned") in us (Gal 4:19). Even "values" misses the point of the life of Christ in us. Do you think that the “formation” and “fashioning” seems to “mystical” to some people that have a felt need for a check list? Thank you so much Joel! Since delving into trying to understand the difference between the covenants, I often wondered about this verse. You are the first person who has explained it the way that I suspected it might be! For years, I never thought to question the words of Jesus and if they apply to me as a Christian or not; I was taught they all apply. I agree with you now... we must always look to who the audience is when we read scriptures. (And I'm not trying to be rebellious). Unfortunately (fortunately? ), this changes many things. So... what is your take on the Beatitudes? BTW - I have a friend named J Slick and you were really confusing me for awhile. I wondered if it was him - until I watched a video! LS, I think you're onto something there. A checklist is so much easier for some people to follow, rather than having the ongoing experience of the actual living life of Christ at work in them, being formed/shaped/fashioned in them on an ongoing basis. Cathy, I think you are so very right... this changes many things! And indeed, this look at things is not out of rebellion, but out of a real desire to understand Christ and His ministry while He was on the earth, compared to His different ministry to us as He lives in and through us, and as He in fact has become our very life. I just recently was part of a conversation on Facebook with someone who believes we are only to follow the words of Paul. (And not Peter, John, James, etc). I don't fully agree with him about all of that, but his main point was that Jesus had a pre-Cross ministry to the Jews, and that much of what He said was indeed His ministry to the Jews and not to anyone else. So many of His words were spoken to them alone and for them alone, as part of God's overall ministry to them. Now, I do think that Jesus did also speak New Covenant things at times, as He looked ahead to what would ultimately be accomplished through the Cross and His resurrection from the dead, and we can glean so much out of all of that. I'm still in an ongoing process of working a lot of this stuff out, so I don't have a specific answer about the Beatitudes. But I will say that my podcast host and I had some things to say about the teachings of Jesus that will perhaps not sit well with many in the church today. :) Again, as you say, this is not to be rebellious, but it's an honest look at what we truly think Jesus' earthly ministry was about, as compared to the post-Cross reality of life in Him. The podcast is entitled "The Unattainable, Insurmountable, Unachievable Teachings of Jesus." :) (You can click on the link if you want to hear it. It will take you to our podcast page). That's right, Anonymous, we have been forgiven (past tense) of all sins - past, present and future! Through one sacrifice, 2,000 years ago, all our sin was taken away. So you're saying that Jesus taught the Lord's Prayer as sort of a temporary prayer? I think there's a much more sound explanation. If forgiveness is once for all, then to withhold forgiveness is to choose to not live under forgiveness. We either accept or reject forgiveness, for all. What I'm saying is that what is known as "the Lord's Prayer" is an Old Covenant prayer. The New Covenant didn't begin until the death of Jesus. As I said earlier, Jesus was "born of a woman, born under the law, to redeem those who were under the law." (Gal 4:4-5). He first had a ministry that was specifically to the Jews (those who were under the law), and much of what He said was directed to them, and was part of that Old Covenant ministry. In order to see more of a foundation of what I'm saying, pay attention to the audience Jesus is speaking to each time you read the accounts of His life in Matthew, Mark, Luke and John. Put yourself in the shoes of those He is speaking to in each given situation. Most of the time, He was speaking to Jews, and they understood His words as words that were exclusively to them. There wasn't yet a thing called Christianity, nor was there a New Covenant. There was still a reason for Jesus ministering under the Old Covenant. The Old Covenant led to the New Covenant, but the Old Covenant is not the New Covenant. 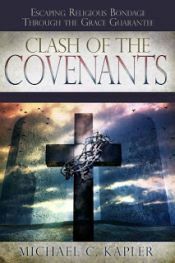 The New Covenant is an entirely different covenant. While there were specific reasons for the Old Covenant, everything changed with the New Covenant. Where did you get the idea that The Lords prayer was the old covenant prayer? In context The disciples asked Jesus how to pray because they witnessed how effective his prayer life was If its an old covenant prayer show me where in the old testament people prayed like that The jews where God's chosen people born again people are God's Sons & daughters That's why he refer's God as our Heavenly Father Guys be careful of false doctrine! Where in the Old Covenant were they told to cut off their right hand if it caused them to sin, or pluck out their right eye if it caused them to sin? But yet I don't see any New Covenant Christians living that way. :) Is your righteousness greater than that of the Pharisees and scribes? Are you perfect as your Father in heaven is perfect? These are questions that everyone needs to answer before calling the Sermon on the Mount (which includes what is known as the Lord's Prayer) a teaching for Christians. Good word again Joel!! Now in the New Covenant in the Blood of Jesus (this side of the cross)we forgive BECAUSE we have BEEN forgiven!Eph 4:32....& Sin no longer has DOMINION over us Because of Our New nature (the nature of God). Came across your blog while doing a search on this topic. Really appreciate your thoughts on this...Hallelujah! Very well written and explained...Thank you! I Ran across your thread when I was studying out some things I've been learning about the mixture of covenants we have been taught. My question for you is can you help me understand Mark 11? I understand Mark 11:25 is not new covenant thinking and was written to people before the death of Christ therefore it is not considered New covenant and I agree with that. That's really a great question. I think my best answer to that at this time would be to say that all is fulfilled in Jesus. 1John 1:9 is confusing me. Is this verse is for us christians? It appears to me that the first chapter of 1 John was written to address the unbelievers in the church that John was writing to. Rather than explaining it all here, I'll direct you to a series I wrote about this, entitled "One John One Nine." I hope this will be of help to you. It's doubtful that there were many, if any, unbelievers in the church when this letter was written. The 'church' is by definition an 'assembly of believers'. It wasn't the practice then to invite people to church to get them saved. By identifying yourself as a disciple of Christ in John's time you invited persecution unlike the situation today where identifying yourself as a Christian might only elicit derision from the popular media who justly see Christianity as a bunch of self-righteous hypocrites, based on the public buffoonery that so many celebrities and television preachers have displayed. The entire New Testament was written for the benefit of believers, not unbelievers. Again, Jesus died not only for our sins (believers), but also for the sins of the whole world. So, if only a few will be saved (according to Jesus), what is the distinction, Joel? Let's just become Universalists. After all why wouldn't this schmaltzy, sentimental grace that you preach apply to everyone who sincerely clings to a faith regardless of it's basis in fact or fiction? Why would there be so many references to false doctrine in the New Testament? According to your gospel, doctrine shouldn't matter either...in fact, it would seem, nothing really matters. The demons believe, so they must be among the redeemed as well! The word “church,” in and of itself, is the word ekklesia, and it simply means an assembly or an assembling of people together. Indeed, the purpose of “the” church assembling together was so that believers could encourage one another and spur one another on towards love and good deeds, etc. But at the time John wrote his epistle, it’s been historically noted that there were unbelievers known as Gnostics who had also become part of some of the assemblies, and John was addressing them. "Gnosticism was a teaching that blended Eastern mysticism with Greek dualism (which claimed that the spirit is completely good, but matter is completely evil)... Based on the concept that matter is evil and spirit is good, some Gnostics concluded that if God was truly good He could not have created the material universe. Therefore, some lesser god had to have created it... The dualistic views of Gnosticism were also reflected in the prevalent belief that Jesus did not have a physical body." He is telling the Gnostics that indeed they had seen and touched Jesus - He had truly come in the flesh - and then he said he was declaring this to them so that "you also may have fellowship with us; and truly our fellowship is with the Father and with His Son Jesus Christ." He then went on in the last few verses to tell the unbelievers/Gnostics how it is that they could come into the light and be forgiven and cleansed of all unrighteousness. It's not until the second chapter that John redirects his thoughts and begins talking to the believers. "My little children..." And he even tells them quite directly, "I write to you, little children, because your sins are forgiven you for His name's sake." (1 John 2:12). So John was writing to a mixed crowd… believers and unbelievers… who were assembling together, and at the time each group knew what was being addressed to whom. Jesus tells the churches in Revelation to repent. He's speaking to believers. We are to strive for holiness 'without which no one will see the Lord'. We 'have not yet struggled against sin to the point of shedding blood...'. Etc. Wheat and tares, brother. Why would Jesus tell us to disfellowship 'brothers' who won't listen even to the church after they've been confronted with the truth about their sin? Sin is definitely not a non-issue for believers. The Gnostics didn't even believe that sin was an issue, so they couldn't believe that they needed to be cleansed of sin, and thereby they were rejecting the true Jesus. They didn't believe in Christ, or His sacrifice for sin. John wrote to address this. I didn't say that sin is a non issue for believers. In fact, above I quoted Peter who called upon believers to be holy in their conduct! I think you are assuming certain things about me that just aren't true. Excellent commentary, Joel! I understand that Scripture so much better now! God bless you. Although it's true that Jesus blood is associated with sanctification (I find one instance), it is overwhelmingly more associated with the same process whereby we are exhorted to "work our your salvation with fear and trembling". Otherwise it would be meaningless to to tell us to "strive for the holiness without which no one will see the Lord". Grace isn't a 'free pass' or a thing that we receive once and then stick in our pocket and present whenever the cops show up, it's a resource. It's the means through which we are able to work out our salvation. And our salvation is a gift which receive 'by grace, through faith'. And if faith is something we do (ala James), then grace is only received in conjunction with action on our part. A 'gift', yes, but not one that is received without conditions. The medicine is placed on the counter in front of us. It is a prescription with unlimited refills, but we must come boldly to the pharmacy of grace when we run out or the cure will not take its course. I know this sounds like salvation by works, but it's not. God is the "Author and Finisher of our faith", but just as we must respond to the conviction of the Holy Spirit when we are first made to understand the Gospel and drawn into that place of decision to accept or reject the gift of salvation, we must continue to respond to the Holy Spirit as he seeks to complete the work. We do it in fits and starts and God's grace is always sufficient, but our salvation doesn't happen without our participation...regardless of what 8 Point Calvinists believe. Without holiness no one will see the Lord does not mean the Lord won't see you. It means others may struggle seeing Him in your life or you may be deceived by sin and not see the true you in His Blood.....Abraham's messy life would've caused most purity seekers to think he didn't know the Lord..ie..they couldn't see it....yet God saw what no eye had seen, what no ear had heard, what He prepared for those who really loved God. Because He first loved them...The sign of circumcision came AFTER not before. ..Most seek purity over the Pure One and wonder why they keep stumbling over the Stone in Zion and never enter God's Rest....try Psalms 32:1-2...try Romans 4:7-8....when Jesus said consequently the sons are EXEMPT He was allegorically referring to what God has been trying to say through Joel and others...Grace is first a Noun...a Person...JESUS! GO FIGURE. excellent stuff Joel....Praise be to Jesus who has rescued my soul. This is one of those verses that can't be taken alone, by itself, but we need the rest of the epistle, as well as the rest of scripture. In Chapter 2, John says, "These things I write to you that you may not sin. And if anyone sins, we have an Advocate with the Father, Jesus Christ the righteous." John knows that believers will sin. I believe that what he's talking about in Chapter 5 is the intentional practice of sinning. A believer will sin, perhaps many times, but it's not out of a will or desire to sin. It may be out of weakness, but it's not out of a desire to defy God. In our spirit, which is the core of who we are, we are spotless and blameless, and we have no desire to sin and we are one with God. Because of this, our aim and goal is never sin, but rather we live from a state of righteousness (righteousness that we've received as a gift). I agree. I truly feel that the Holy Spirit has shown me this Truth. What about the scriptures where Jesus says, " I have not come to take away the Old Law, but to add too." And then, those also, presented the scriptures of Matthew and James about bearing fruits, and faith without works? I don't let others shake my faith and i know it is Truth as the Holy Spirit dwells and gives discernment. I just don't find scripture to show absolute for them. I just know Jesus said, It is Finished. He Conquered Sin. When we accept him in our hearts we are saved. He says, he remebers out sins no more. What is the Judgement Day for? I believe its Only about Do You Believe, or not? He says, every knee shall bow and every mouth shall confess,that I am Jesus Christ Your Lord and Savior. It is so simple, but Its made confusing and contradictive,by so many.The Holy Spirit convicts and brings forth a repentance and Praise and Compassion and Love. You don't change by your might and power, You change by the Holy Spirit's Power living within you. Thats the faith alive (not faith without works)bearing fruit. Anyway, We each have our own Walk, Our own Choice, Our own Measure of faith, to leave as the measure he gave us or to add to it and grow and learn and receive as well as give and share the word and receive the word. Learn about receiving JOY as we have Sorrows and Trials and Judgements and Demands from others. Indeed, Jesus said "It is finished," and He meant it and it was true. His shed blood took away our sin (not just covered it temporarily, but actually took it away forever). With His finished work, the law was "wiped out," "taken out of the way" and "nailed to the cross." (Col 2:14). What Jesus had previously said was, "Do not think that I have come to destroy the Law or the Prophets. I did not come to destroy but to fulfill." And that's exactly what He did. He fulfilled the Law and the Prophets. After that, the law was then "wiped out," "taken out of the way" and "nailed to the cross." But He had to fulfill it first. As believers who have been born again, we do abide in Him, and He abides in us. He is the Vine, we are the branches. Branches don't work to produce fruit. Branches abide in the Vine, which is where the Life comes from. It's God's fruit that He produces in and through us. It's not our fruit that we strive to produce for Him. In James, when he says that faith without works is dead, he's not talking about works of the law. The two examples James uses are Abraham offering Isaac, and Rahab the harlot protecting spies. The main point of is that there is a response that comes with faith that is alive, but it's not about trying to do works in order to prove anything. As to Judgment Day, there are two groups of people on that day - sheep and goats. Since there is no condemnation for those who are in Christ Jesus, there will be no judgment or condemnation of them on that day either. They will be with the Lord forever. For those who don't believe, Judgment Day will be very bad. WOW!!!! How confusing (for me) it is to read all of this. I guess my foremost thought is, if Jesus is not talking to us why do I need to read what does not pertain to me? I am absolutely no bible scholar, but I didn't think God was the God of confusion. Indeed, God is not the author of confusion. The confusion comes when we don't look at the words of Jesus in the context that I wrote about in this blog post, as well as the articles that I linked to within this blog post. Here's the point: None of this is confusing if we look at it all in context. The law was given to Israel, and it was exclusive to them. Gentiles were aliens and strangers from it (See Eph 2:12). It's the same with many of the words of Jesus. He was ministering to the people of Israel who were still under the Old Covenant. When He said, "For if you forgive men their trespasses, your heavenly Father will also forgive you. But if you do not forgive men their trespasses, neither will your Father forgive your trespasses," He was speaking Old Covenant talk. One huge reason why we know this is because in the New Covenant, we've not been forgiven based upon whether or not we've forgiven others, but rather we've got tons of verses that say that we've been forgiven based upon the blood of Jesus, and our faith in His finished work. Great testimony, Adams! The truth will always make us free, and it's wonderful to know that the truth of the New Covenant has set you free in regards to forgiveness.